Link building has always been important to SEO, but what kind of link you’re acquiring is a matter of concern. For instance, whether it’s internal linking or inbound ones? Both link types serve different purposes like inbound links are important for driving referrals, but internal links perform in other ways. SEO, website, and links are entangled. So, if you pay attention to links, the ranking of the website will enhance and thus your SEO expectations will be fulfilled more frequently. 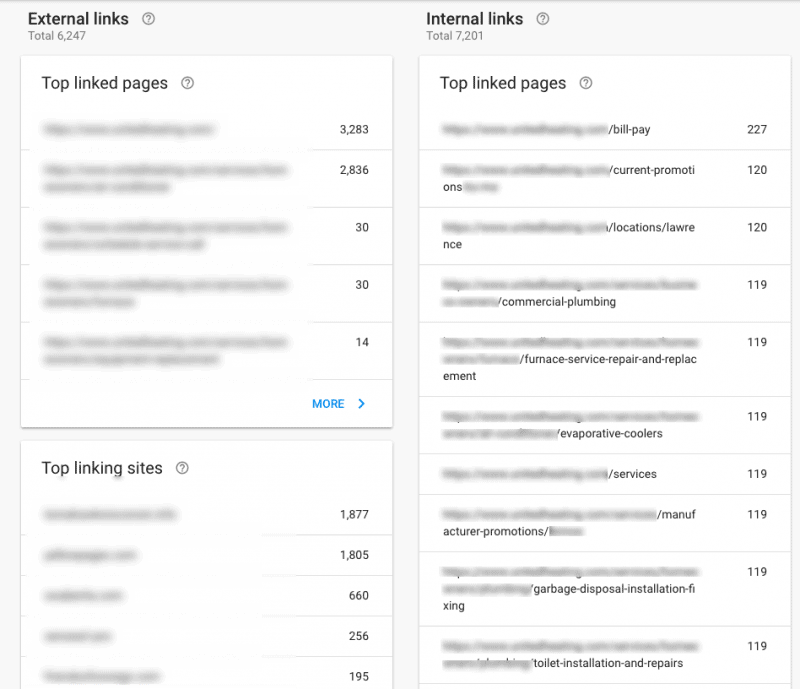 But, what to look for creating a better linking strategy? What action do you want every user to perform when they visit? What is the most imperative thing about your site? Sometimes the answers will vary and sometimes may get identical. For instance, we want each user to navigate to the pages of products or services, whatever the site is offering. Unarguably, this is the most important content on the site. Therefore, whichever is the most important content should be top SEO point and also considering it to rank better. The more you link to our most imperative content, the more you will tell search engines this is our most valuable content. So, are you giving the love to your most important content? Now, you would want how Google sees what you link to the most. This will help identify how well you are displaying your most valuable content. There can be a good debate on what is the most valuable content on a site, is it product/services or payment page or contact us? The answers would vary as per the nature of the business, so link building can get critical. Here are the tips that will help you create an internal linking structure showing the hierarchy of content. Make sure your most valuable pages are featured in the main navigation. Make footer navigation that includes the links of top pages. Have you included breadcrumb navigation within internal site pages? Well, we got to know what is the importance of link building in SEO. But, it’s time to see other uses of internal links as well. Internal links turn a landing page visitor into a successful site conversion. For every site objective, you should have a planned pathway to your objective. Suppose you want to pay particular attention to your range of services, but you also want to get leads for a new eBook. Two objectives at the same time, no worry. Now, your analytics page lets you know that your homepage gets most of the traffic, followed by your blog. Keeping this in mind, you will internally link your service section as well as your new eBook to the homepage. This can be accomplished through hero image sliders or feature area boxes. You will now go to your blog template and make sure there is a vertical column that includes links to your eBook. The above example turns internal linking look easy, but it’s not that easy as you have to audit the behavior of website users to know how they are traveling through the site. To ease the inconvenience, use the Users Flow feature in Google Analytics and get to how users traversing the site. The idea is to utilize advanced segments where you only see the sessions with conversions and vice versa. Now go through the differences between the two. Prominently, review the internal linking structure on pages in both of these pathways. This will help you to understand how unsuccessful pages can mimic internal linking to help become successful pages. This way you can know how unproductive pages can become successful ones using a link building strategy. Link building is an essential procedure in making sites successful on the search engine as well as turning a web page visitor into end customer. Here are 2 pathways which will help you prepare a solid link building strategy.